Beautiful hair is every woman's dream, so it's only natural that hair care products are such a popular pick for gifts over the holidays. It's easy to walk in to your local department store and pick up a boxed set, but that's so generic. Not to mention, 9 times out of 10 the products might work okay, but they're really nothing special. 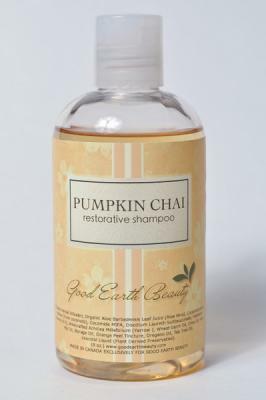 This holiday season, if you want to make a lady's day, I suggest shopping at Good Earth Beauty, a website that specializes in natural and organic beauty products. I was able to try the Pumpkin Chai Shampoo and Conditioner from GEB and I am hooked!! The first thing you'll notice about these is the scent...it just shouts "happy holidays"! So perfect for the fall and winter seasons, but honestly, I love comfort smells year round, so I will happily use this in the middle of summer as well! It's not an overpowering fragrance (you know, that kind that becomes annoying after a few hours), but you will definitely be catching a whiff throughout the day. Which I absolutely love, of course. Cinnamon, cardamom, and nutmeg will make you feel like there's a pumpkin pie in the oven that you're smelling all day! Now, no matter how good something smells, if it doesn't work right, it just isn't worth it. 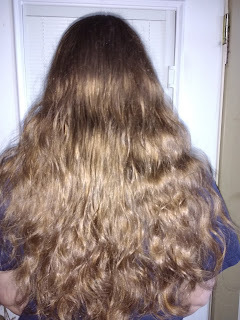 I've had some lovely-smelling hair products before that I really wanted to keep using for the fragrance, but they just didn't do the job at keeping my hair soft, frizz-free, etc. I've also noticed that many times the organic or natural hair shampoos don't really lather, and often leave my scalp feeling like it really didn't get cleaned. This is not that kind of shampoo though! A small amount (maybe nickel to quarter sized) lathers up nicely for my long hair. It rinses clean, leaving me with thoroughly washed hair, yet without that dry or stripped feeling. The conditioner is the finishing touch to this luscious duo. Again, you don't need a lot. Even with my longer hair, I use about a quarter size squeeze. I like to let it sit for a minute or two, and then rinse. Unlike most conditioners, you don't feel it all running out when you rinse. You can actually tell that the conditioner is absorbed by your hair. 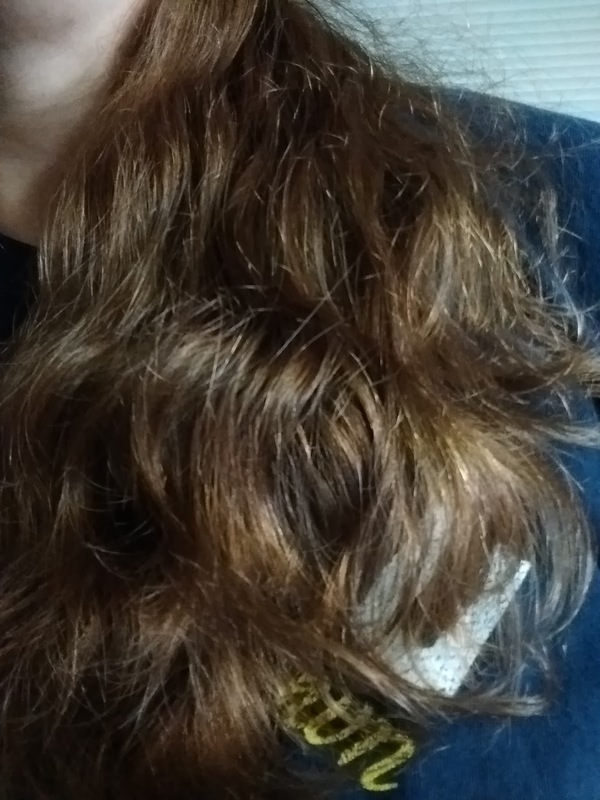 I usually use a leave-in conditioner/de-frizzing product and a shine serum, but with this shampoo and conditioner I have been able to just use a dab of shine serum and my hair looks and feels better than it has in years! My hair is so moisturized, yet still bouncy, and so much less frizz! These are two products I will be buying for myself in the future. They're that good!! Good Earth Beauty is giving away a $34.00 gift card!! That's the cost of these two products, or pick something else out from their website!! Use it as a gift, or keep it for yourself!! I would like to try a shower whip. I like the gift tote for dogs . :) My pooch is spoiled! 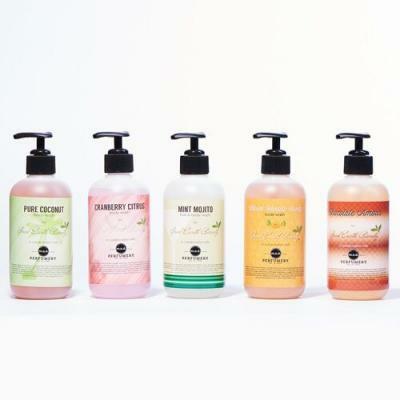 I'd love to try the Coconut Moisturizing Shampoo and Conditioner.